Suitable for: Experienced walkers, due to length. Terrain: Covers fields, farm tracks, woodland and moorland (including stream crossings), with some short sections on road and metalled track. Distance covered: 15 miles / 24km. This is the longest section of the Gower Way, It’s a relatively long walk, best suited to experienced walkers. The Gower Way Northern Sector runs north-east from Gowerton through the Lliw Valley to the historic ruined fort of Penlle’r Castell on the summit of Mynydd y Betws. O.S. Explorer map nos. 164/165 (1:25,000), and O.S. Landranger map no. 159 (1:50,000) cover this walk route. This part of the Gower Way crosses a number of streams, and some sections may be very wet underfoot. Towards the end of the walk, you may find a compass very useful. Full details of this walk are described in The Gower Society’s leaflet, Gower Way: Gowerton to Penlle’r Castell. This walk rises through the Lliw Valley, taking in a range of both manmade and natural landscapes. Look out for Felindre’s ‘murder stone’ at Nebo Chapel. 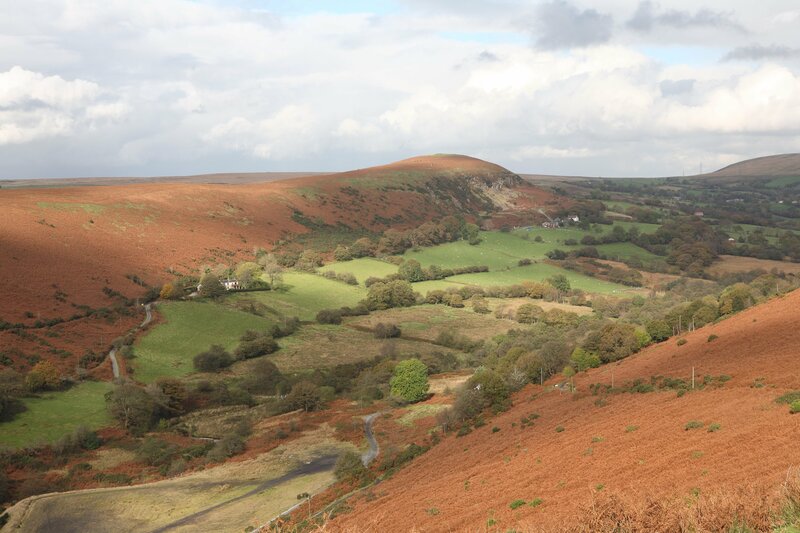 In the pretty Upper Lliw Valley area, you have a strong chance of seeing peregrine falcon, ravens and red kite. The ruins of Penlle’r Castell (‘summit of the place of the castle’) at Mynydd y Betws are thought to be a 13th century defensive fortification, built by one of the Marcher Lords to protect North Gower from rivals. 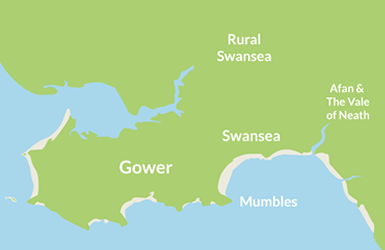 The above information is an extract from: Gower Way: Gowerton to Penlle’r Castell by The Gower Society.